Traveling to Australia has always been my dream. It started when I was in university. I watched my friends Facebook walls intently as they posted what seemed like hundreds of stunning turquoise images of their travels through Australia. I was instantly hooked. I won’t say that I was jealous per say, as I did my fair share of traveling while in university as well, but to different (much closer) destinations which included experiences like volunteering in the Bahamas, studying in Texas, attending Mardi Gras in Louisiana, and of course exploring New York, New York, among others. Even still, for some reason, there was a void that couldn’t be filled by any destination other than Australia. Finally, at thirty years old, I’ve made that longing a reality. After years of saving up, planning, budgeting, skimping, and living off pennies, I finally made it to Australia. 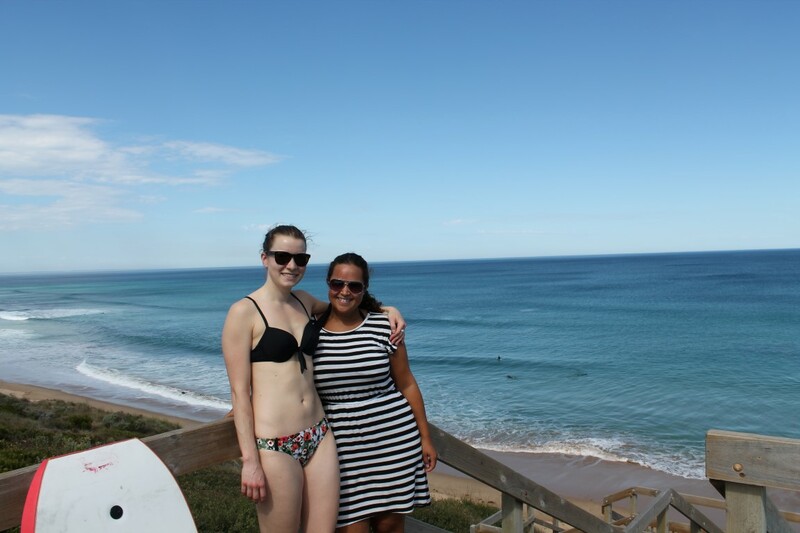 Not only that, but to make it even more special, I’ve made it in time to catch my best friend (Quirky Bikini) who has been living in Australia for a couple of years before she departs. Rebecca and I traveled together in 2007 in Nicaragua and Honduras and realized then that we are the perfect travel partners. Traveling together didn’t break our friendship, but only made it stronger. Year after year, we hoped and idly planned trips that we could do together, but with different schedules the cards were not in our hands. 7 years later, we have managed to align our schedules to be in Australia at the same time. After western Australia, I flew to Melbourne to meet up with her and start a journey all of our own. During my time in Victoria, Rebecca and I did a of couple road trips together, but my favorite one of all was the breathtaking trip to the turquoise Great Ocean Road. The stunning coast is considered one of the world’s most beautiful coasts and now I see why. 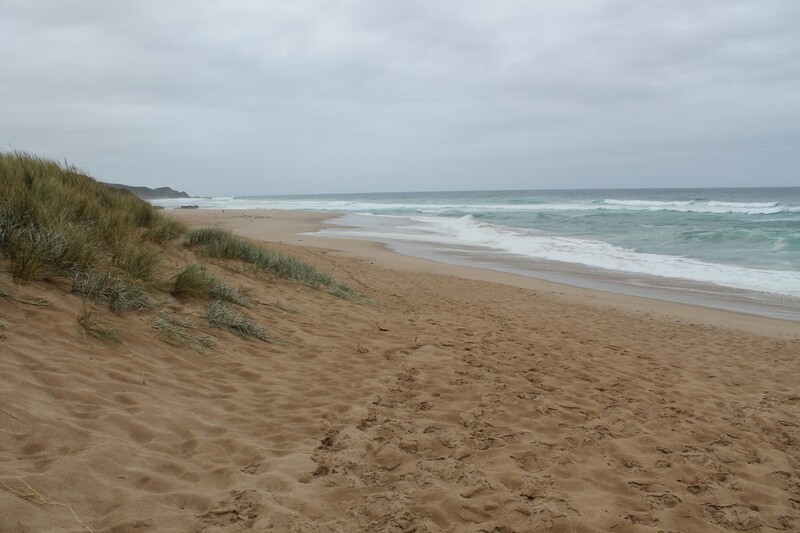 Reuniting in Australia and traveling to the one place we both love: the beach, makes any road trip joyful. 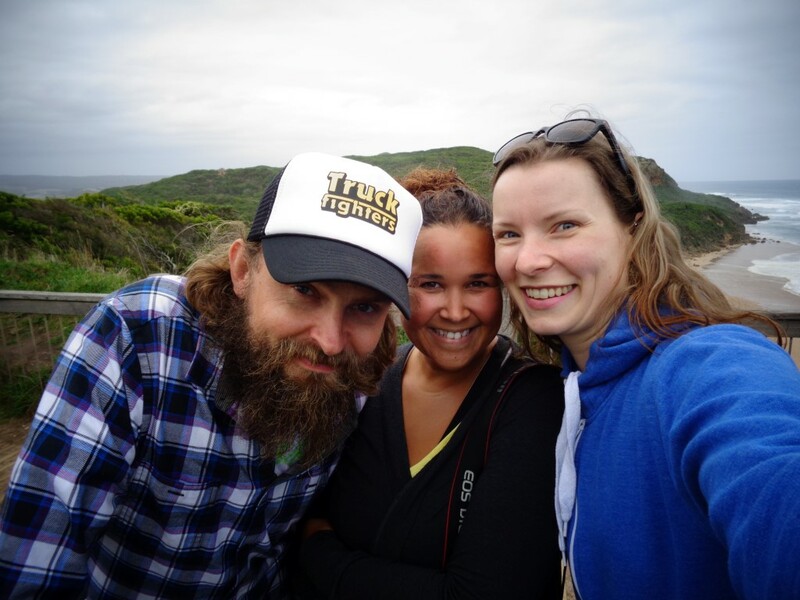 My friend Orien, an Aussie, who I met years prior in Mexico picked Rebecca and I up for a guided tour of the Great Ocean Road. As a local, Orien knew exactly where to take us that was off the beaten path– just what I like. The quiet coves, towering cliffs, red-stained coastline, and tranquil turquoise waters gave me yet again a new view of Australia. 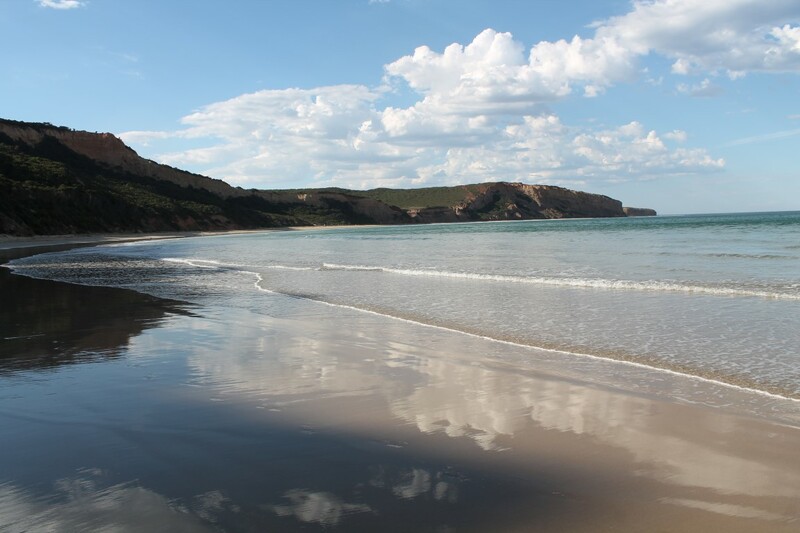 His insider tips and secret stopping points are a highlight during my time in south east Australia. 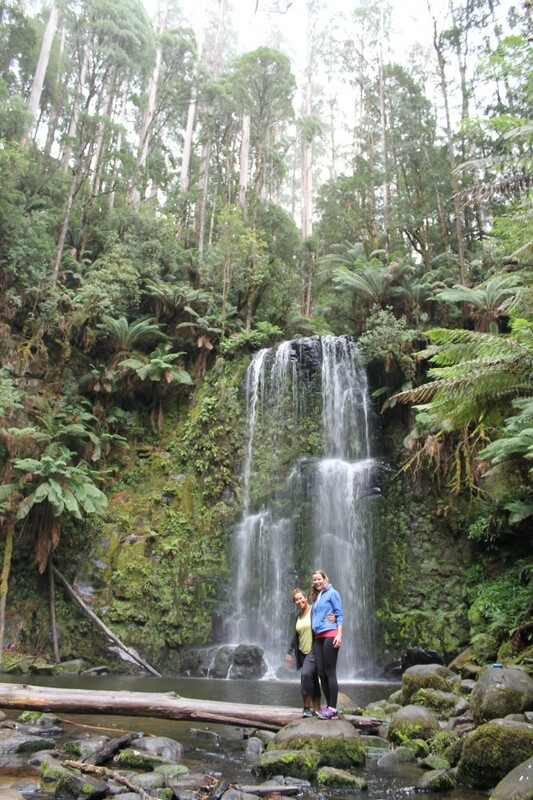 Each region of Australia is so different and Victoria didn’t disappoint. 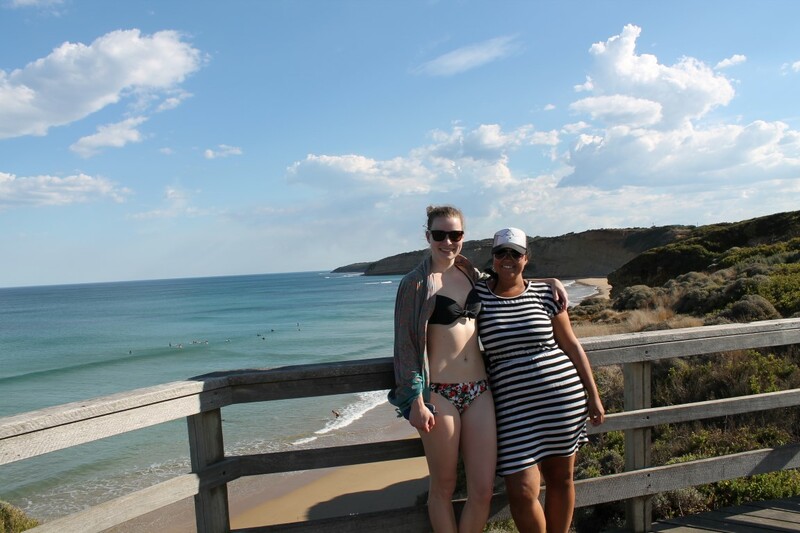 I was surprised beyond belief that I would see place after place along the Great Ocean Road that would make me stop and think that I am the luckiest girl in the world. I am not going to deny that I was left speechless on countless occasions which has been a pattern in Australia. Although, being speechless is a difficult thing when traveling with Rebecca! When we get together, our time is spent howling in gut wrenching laughter, acting out stories, singing songs we’ve made up on the top of our head, and just being girls. 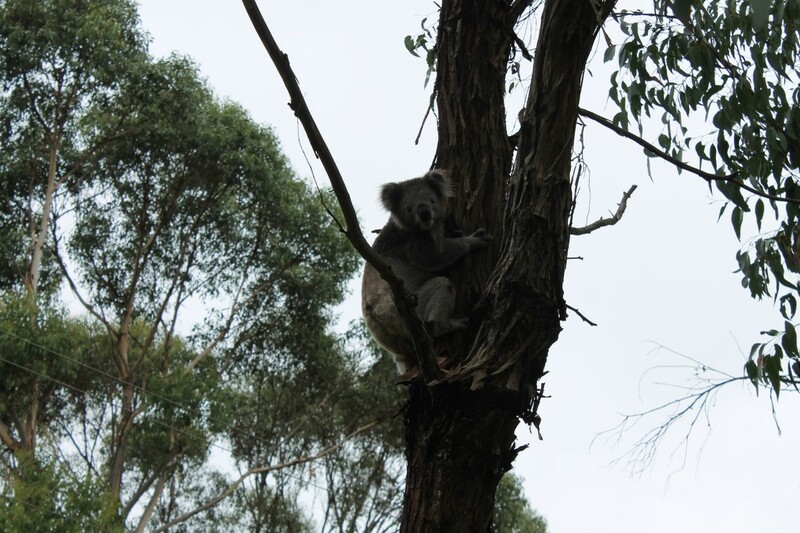 I’m surprised Orien didn’t go deaf while driving us girls around when we shrieked in excitement as he slammed on the breaks to show us a wild koala crossing the road. Nevertheless, there were moments when all three of us would stand on the beach or at the cliff’s edge and quietly bask in our surroundings, while connecting through a common enlightenment. Communicating with just a gaze was often all we needed in those silent moments. It’s in the quiet moments when I am with just myself, even though surrounded by others, that I am able to reflect on my experiences. Rebecca and I have a very similar travel style–spontaneous, easy going, adventurous, and economical, yet we are different enough to compliment each other’s personality. Fond memories of our previous trips together in Central America and Canada come crashing back as if we hadn’t been apart. No distance or time apart will diffuse our friendship; each reunion is like we have never been apart. Beyond the scenery, Orien and Rebecca helped me create memories that I will never forget. Travel is about people. If interested, you can read Rebecca’s (Quirky Bikini’s) side of the story of traveling with me. This entry was posted in Australia, travel, Turquoise Travel and tagged Australia, Beach, Coastal Views, Coastline, experiences, Friends, Friendship, Great Ocean Road, ocean, Quirky Bikini, Sea, South East Australia, Travel, travel photography, Turquoise, Turquoise Compass, Turquoise Travel, VIctoria by Turquoise Compass. Bookmark the permalink. 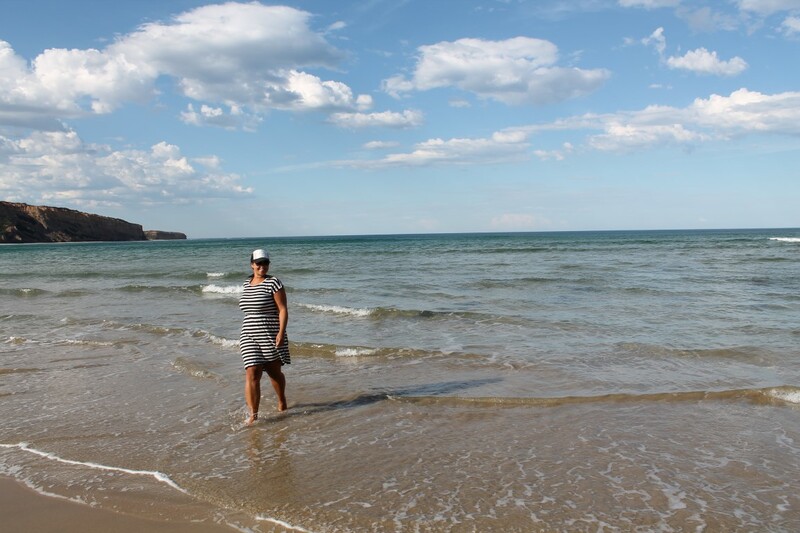 One of my favourite places in Australia, lovely pics. I have fond memories on the GOR, especially since I went twice. When were you there? I went to Uni in Melbourne so went many times to the GOR. Been back twice, last visit was 2010 tho! Amazing! I bet you want to go again now! Glad you finally got to see the Great Ocean Road. Great pictures and story. Thanks for sharing. Thank you so much~! I love visiting the GOR and can’t wait to go back! Feel free to share my story with your readers and on your social media sites. Thank you so much! It was a very special trip for sure.